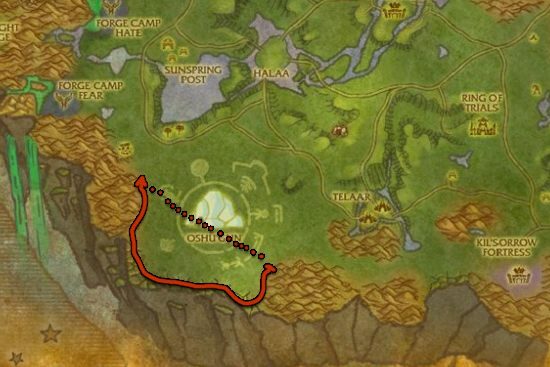 I made this Mote of Earth farming guide to help out players who want to farm motes instead of buying them from the Auction House. Primal Earth comes from combining 10 Mote of Earth, so if you need Primal Earth, you have to farm Mote of Earth. Shattered Rumblers in Nagrand is the best source of Mote of Earth. Just run in a straight line then use your flying mount to fly back where you started. If you kill the mobs too fast, you will usually have to wait 1-2 minutes before they start respawning.